The Sugar Milling Council Board established a People & Safety Committee to facilitate continuous improvement in Work Health & Safety. Through harnessing the expertise and leadership of its members, the Committee strives to develop, inform and share best practice health and safety management. 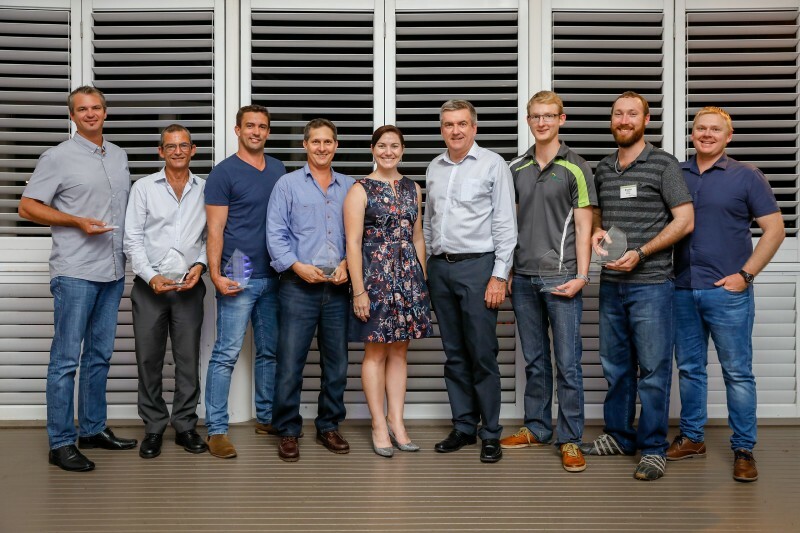 The ASMC Safety Awards recognise participation in good safety practice and risk management. Employees are encouraged to contact their Safety Manager or Line Manager to discuss an application. Awards are open to all employees and nominations should be submitted through a Line Manager and company Safety Manager. Nominations for the 2019 Safety Awards are open with a closing date of Friday 16th November. The Safety Award nominees were reviewed and discussed by the Judging Panel on Friday 12 January 2018. The Panel was chaired by Jason Hajinakitas supported by John Gorringe (CEO, ISIS Sugar), Shayne Stockhill (WorkSafe (Office of Industrial Relations) QLD), Kelly Wills (WorkCover QLD) and ASMC’s Jim Crane and Julie Iommi. Decisions were based on key criteria and judges were particularly interested in the safety results achieved, the practicality and innovation involved in the nominations as well as the potential ease of transfer and application to other sugar milling businesses. Winner – Vito Giarusso, Wilmar Sugar Australia – Wilmar’s safe use of grinders. Judges’ remarks – A very thorough approach to a problem. Comprehensive – from analysis to solution to practical training and implementation. Metal fabrication processes encompass a number of potentially hazardous work practices. One of the most regularly occurring causes of industrial incidents (wounds and lacerations) is related to the use of grinders. These powerful tools need to be respected and operated with care using safe work practices. A standard has been set for the purchase and use of hand held grinders. This standard has been applied throughout the business. After recognising the number of incidents related to the use of grinders, the Wilmar team choose to review the operations starting with a survey of existing grinders in use in the business. A review of positive and negative design attributes was undertaken and a specification agreed across the business. Heavy grinding is now carried out using seven inch grinders that meet the business standards. A series of pneumatic grinders have also been purchased and older or heavier (nine inch) models decommissioned. It was recognised that new apprentices are at elevated risk so additional emphasis is placed on their education at the outset. A standard Work Instruction on Safe Operation of Grinders includes pre-start checks, PPE requirements and operational requirements when grinding. Formal disciplinary actions have been taken with individuals who have been noticed failing to comply. Since the work instruction was rolled out in June 2017 there have been no recordable injuries resulting from grinders. The ASMC would like to recognise organisations who have effectively and innovatively communicated a Workplace Health Safety message to their workforce. The communication of a message can be a one-off event or an ongoing program or an innovative Workplace Health Safety training program that has been implemented. The training program can be one-off or ongoing. The Judging Panel agreed that the nominations covered safety messages aimed at the workforce and also safety engagement and communications with the broader community. It was agreed to create two separate categories of awards – Excellence in Training and Staff Safety Communications and Excellence in Community Engagement and Safety Communications. Judges’ remarks – Great quality production, excellent messages, engaged staff in the making of the videos to reinforce safety messages. The videos 1) demonstrate high risk scenarios 2) physically show the correct procedures to avoid risk 3) cater to workers who prefer to learn visually 4) are more relevant to workers because they are filmed at their place of work. Four videos cover – farms, milling, transport and refining/packing. Feedback has been positive – new staff can view the video at induction before they come on site. Seeing how tasks are carried out adds to their understanding of the written procedures. The Cane Rail Safety program has been rolled out throughout North Qld. The goal is to help children from prep. to year 6, understand cane crushing and the dangers presented during the season. The new approach shifts from talking about negative behaviours to helping children understand what it’s actually like to be a loco driver. People are also migrating to the FNQ region for work or lifestyle and many may not know about cane trains, so this is one educational tool that can help. Four videos can be used by teachers to start a conversation with their students and create an understanding of safe behaviour around train lines. The campaign assets include TV ads, radio ads, press ads, bumper stickers, online display ads, colouring-in pages, Facebook ads and an educational DVD for primary school children. Engagement has been good with one 30 sec video viewed online by more than 25,000 people in one month and then 36,000 in the next. Program tweaks revised the target age online group to 13-17 to coincide with school holidays. The biggest achievement however is the fact that to date, there has only been one recorded incident of a vehicle colliding with a train (at Wangan early in the season). In granting this award the ASMC would like to recognise a manager, an employee who is a champion of Health & Safety and works to improve safety performance within the workplace. The intention is to recognise and reward employees for how they engage managers and work mates in identifying and managing risk to employees, suppliers and the general community. (The application may come from Cane Farming operations, Sugar Milling or Cane Supply and Transport). The judges agreed that the nominations included initiatives from a team of people where it was not possible to single out one particular ‘champion.’ It was agreed to separate out two categories of winner – one individual and one team nomination. Health and Safety Champion – Individual – Brydon Pickup, MSF Sugar. Judges’ remarks – Demonstrated leadership and used initiative and enthusiasm for safety over and above his usual duties. Health and Safety Champion – Team – Engineering Team, Tully Sugar – Safety Solutions to long standing milling train maintenance access hazards. Judges’ remarks – Focused on reduction of a significant risk – innovative and can be quickly picked up by other mills. Employees working from rough and unstable surfaces has been a longstanding safety issue in the industry – mainly due to the maintenance requirements of the milling train and its design. The team has designed tools to eliminate a number of hazards using an engineering solution. Investigated options, identified a solution, and developed purchase justification to invest in a Star 10 vertical mast articulated boom lift. Main purpose is to access the mill’s vertical feed chutes and pressure feeder areas for annual maintenance tasks. Designed and built dedicated aluminium maintenance platforms to allow safe access of mills pressure feeder areas during mill cleaning, painting and general maintenance tasks when mills are disassembled. The Star 10 units are utilised for numerous other tasks throughout the plant. A second unit has been purchased to improve height safety and productivity on site. Engineering solutions to improve productivity and safety by providing safe access and stable working areas to employees working at height on mill maintenance. Employees are working off stable flat platforms to access their maintenance activities. No requirement to build and dismantle significant amounts of scaffold in mill area. The ASMC would like to recognise an individual or a team who has/have found an innovative and valuable business solution to a workplace risk or hazard. The solution may or may not be as a result of capital expenditure to solve the problem given that innovation can be a new work practice. (The application may come from Cane Farming operations, Sugar Milling or Cane Supply and Transport). High number of very strong nominations. Judge’s remarks- this is a solution to a significant issue and is a very practical and workable solution. The initiative aimed to minimize risk exposure to personnel while performing underwater bridge inspections in high risk environments. Developing an inspection process that eliminated the requirement to enter the water was the primary focus. A comprehensive review through a trial of current and available methods feasible for implementation into the cane rail bridge inspection process. The most optimised solutions were implemented into the inspection process at Mulgrave Mill and are being continually refined under the principles of the initial investigation. The new inspection process uses remote camera work to conduct the inspection, which reduces the risk created by entry into the water of staff and contractors. The methods result in a better quality inspection, an increased frequency due to reduced cost and as a consequence, a more robust understanding of bridge integrity across the network. As part of routine preventative maintenance an average 120 brake drums, each weighing over 40 kg, have to be changed each year. In the past, the task to change a brake drum involved manual handling, requiring maintenance personnel to physically lift the drums in and out of position within the wheel, from a crouched position. The team designed a brake drum lifting and positioning machine from scratch, which has completely eliminated manual handling from the task. Over time, it is also believed this machine will make the task more efficient. In the absence of a suitable product or commercial solution, this machine can be used in any road transport workshop where brake drums are changed. This unique solution provides complete elimination of a hazardous manual handling task. The engineering team were committed to developing the tool from concept through detailed design to construction and testing. The company reported the cost of the new tool was around $2,000 relative to the high potential cost following a WorkCover claim. Judge’s remarks – Great initiative for many industries and fatigue is a high risk area. Good to see the facility is being used. Fatigue is a serious issue for workers who support the tablelands mill. Typically workers travel a minimum of 90 minutes to get to the mill and perform their duties. In many cases they work late on supporting the mill then find it difficult to get accommodation in the region at short notice. In these instances they drive after many hours of work back to their base, which creates a potential high fatigue risk. In establishing the mill house as fatigue house, Kirk furnished the house and set up a system of laundry and cleaning, which makes the house an ideal place for the workers to stay overnight. Further he stocks the fridge and freezer with frozen meals, bread, milk and margarine so the workers can have both an evening meal and also a light breakfast. Teams travelling to manage the green power construction site routinely use this facility when their day goes longer than planned. This initiative has removed an estimated 300 hours of high risk fatigue exposure. Moreover it has facilitated a better efficiency with workers attending the site. These workers are no longer rushing to get a job completed as they know they can access the fatigue house. This has resulted in a reduction in re-work from what were likely mistakes made from rushing their work. The financial corollary is the saving of significant accommodation costs in Mareeba and Atherton.